Nolimit City celebrates 5 years! 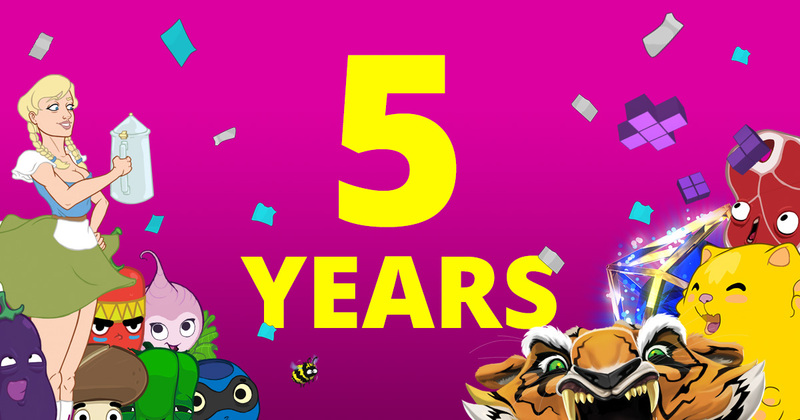 It’s been already 5 years that Nolimit has been on the scene and what a ride it has been. Nolimit has reached milestone after milestone in the last few years, and it’s apparent that the saying is true – time does fly when you’re having fun! With a motivated work force of casino veterans from both supplier and operator side it’s easy to understand why Nolimit is where it is today. Nolimit has gone from a small start-up company with a handful of employees, having focused the first initial years in building a fast and flexible platform, to accelerating into a full-blown slots enterprise that only releases top of the line online video slots. All this and more managed centrally by the team behind such a great company. Built a state-of-the-art platform, incl. promotion tools and back office. Signed and launched more than 20 of Europe’s most reviered operators in the industry, incl. Kindred, Betsson, GIG, VideoSlots, Bethard and Leo Vegas. Showcased Nolimit City and its offering with a prominent stand at the world’s largest annual international gambling tradeshow, ICE Totally Gaming in London. Grow the work force of passionate casino people even further! It’s exciting times at Nolimit City! We welcome you all to follow our journey and reach out to anyone one of our passionate employees who will be more than happy to show you the Nolimit way of doing things. Nolimit City is a Stockholm-based online casino platform and game developer, offering high-quality content and services to operators around the world. The company has designed and developed its platform in-house from the ground-up; delivering a strong and powerful engine that can take large volumes of play and social interaction in its stride, on both desktop and mobile. It is coupled to an innovative back office and bonus toolbox, providing a one-stop shop for our partners. It is hugely flexible, and can be tailored to individual operator requirements and needs. We employ some of the smartest minds and artistic talents in the industry; people passionate about gambling and technology. They have helped us to create a portfolio bursting with fun and engaging games for both casino and lottery operators, including Oktoberfest, Space Arcade, WiXX, Kitchen Drama: BBQ Frenzy/Sushi Mania and Bet on Poker.